Editor’s note: The reaction resulting from this story is flying in so fast we’ve moved it all to its own page. Please check here for the latest developments and stories. Some Print on Demand (POD) publishers are privately screaming “Monopoly!” while others are seething with rage over startling phone conversations they’re having with Amazon/BookSurge representatives. Why isn’t anybody talking about it openly? Because they’re afraid – very, very afraid. You’d think Amazon’s purchase of BookSurge might have made things a bit uncomfortable between the two companies. However, they continued to work together, getting books on demand to Amazon.com’s loyal customers. Things appeared to be cruising along just fine, but perhaps not anymore. The book information would remain on Amazon, and people could still order the book from resellers (companies that list new and used books in Amazon’s Marketplace section), but customers would not be able to buy the book from Amazon directly, nor qualify for the coveted “free shipping” that Amazon offers. Don’t believe it? I didn’t believe it either. I am Angela Hoy, the co-owner of POD services company BookLocker.com and publisher of WritersWeekly.com. I am well-known in the industry for my activism performed through WritersWeekly Whispers and Warnings. 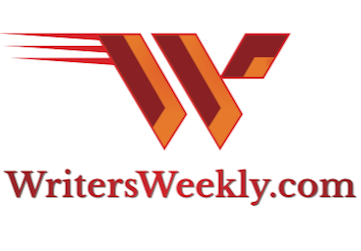 Over the years, we have helped writers recover tens of thousands of dollars in fees from deadbeat editors and publishers, helped them negotiate better contract terms, assisted writers in obtaining payment after their copyrights have been violated, and even assisted police in collecting evidence to prosecute criminals who have preyed on writers. I am also the author of 11 non-fiction books. Still doubting the reports could really be true, I emailed an Amazon/BookSurge representative who’s been trying to get us to talk to him by phone. John Clifford of Amazon/BookSurge called me at 12:30 p.m. on Wednesday, March 26, 2008. My first comment was to tell him we heard a rumor that POD publishers who didn’t use BookSurge would have the “buy” button on their Amazon.com book pages turned off. He claimed the people who worked for BookSurge back then are probably all gone (but that didn’t explain the more recent complaints). He made his sales pitch, talking about percentages and such, and said many POD publishers are resisting their attempts to convert to BookSurge. Mr. Clifford also said BookSurge’s aim was to help Amazon customers get their books faster. He stated several times that books not converted to BookSurge’s system would be “taken down.” Since that wasn’t exactly what we’d heard, I asked about books that perhaps weren’t selling well, that aren’t good candidates for converting to BookSurge (books that would remain for sale through Lightning Source, but would never be converted to BookSurge due to the time/expense involved). Contrary to what he stated at the very beginning of our conversation, Mr. Clifford finally admitted that books not converted to BookSurge would have the “buy” button turned off on Amazon.com, just as we’d heard from several other POD publishers who had similar conversations with Amazon/BookSurge representatives. I explained to him that we had more than 1500 books in print and that it would take quite awhile to convert all of those over to BookSurge’s system. He said as long as the relationship was “moving forward” that the “buy” button would remain active on our authors’ books that had not yet been switched. Nobody likes being backed into a corner, and saying “do this or else” naturally breeds angry rejection and hostility. If we did agree to sign the contract, pulling and transferring files to Amazon/Booksurge would take an enormous amount of time and money. From the POD publishers we’ve talked to, and from our own experience at BookLocker, we could all be looking at a dire and immediate threat of revenue cuts if we refuse to sign the Amazon/BookSurge contract. Most importantly, there could be an outcry from and potential financial hardship on the authors, who are completely innocent in all of this. Since Amazon/BookSurge does not offer Ingram distribution (Ingram distribution is considered imperative in the industry for bookstore sales), any company that accepts the Amazon/BookSurge deal, who desires to keep offering Ingram distribution, may need to maintain two copies of the book files. Since the Amazon/BookSurge current specs don’t match the Lightning Source specs, future book files, both interior and cover, may need to be formatted separately. So, they would have to pay double the setup fees and might have to do double the formatting work as well…or pay designers to do double the formatting work. Likewise, self-published authors who believe they must have Ingram Distribution AND an active “buy” button on Amazon to be successful may need to pay double the setup fees (to a POD publisher AND Amazon/BookSurge), and also may need to create two separate sets of formatted files. When authors get wind of this, we believe they are going to be livid. Authors are also readers. They love books. We suspect they buy from Amazon in droves. I, myself, have been an Amazon junkie for years, not only heavily promoting Amazon.com in my non-fiction books for writers and on our very popular website, WritersWeekly.com, but also listing my own books for sale there, ordering other authors’ books, DVDs and numerous other products as well. I pulled up our Amazon customer account and looked at our receipts. We’ve spent $1508.81 at Amazon.com in the past six months. Multiply that by the number of authors this will affect…authors who, like me, have a multitude of websites to choose from when doing their shopping online. In addition, authors participate in the Amazon experience, via blogs on the website, by posting reviews about other books, and more, activities that help to continually make Amazon bigger and better. Authors are a loyal bunch! For years, they’ve been faithfully sending their readers to Amazon.com, again and again, even when they earned lower royalties for doing so. It’s not inconceivable to think that this group, if shoved against a wall like this, won’t simply pledge their allegiance elsewhere. Let’s face it, BarnesandNoble.com offers free shipping on orders of $25 or more, too. 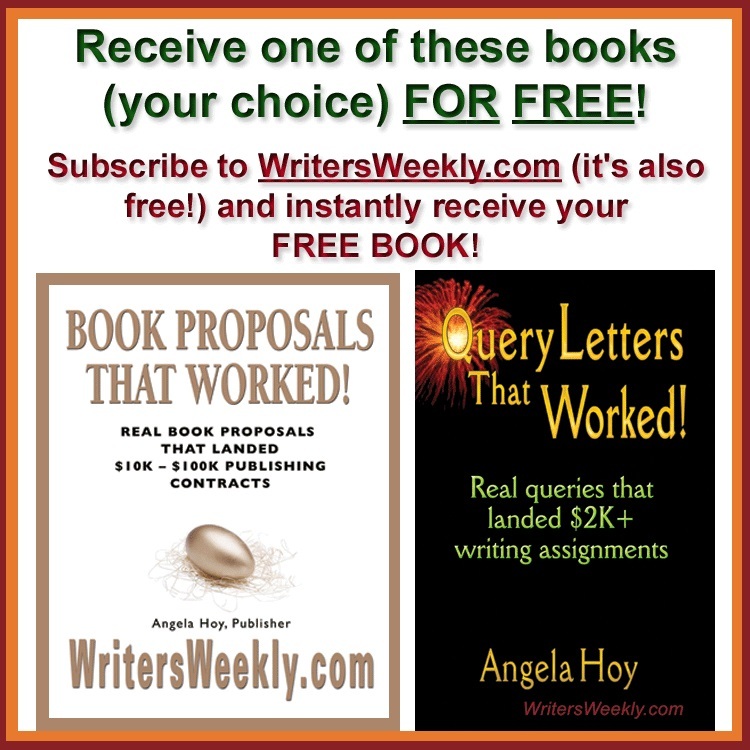 Authors can change the links to their book pages on their websites, in their ezines and press releases, and even in their email signatures to their book’s page at BarnesandNoble.com. Authors can spend their own money elsewhere as well (as I plan to do). I imagine BarnesandNoble.com will be very happy to process the extra book sales that could result from all of this. Amazon.com might also upset countless companies that have Amazon Affiliate bookstores on their websites (many authors have these, too!). If Amazon/BookSurge were to follow through with turning off the “buy” buttons for thousands of POD titles, customers following those links from other websites could be confused and annoyed. After clicking on a link, they would find no easy way to purchase the book directly from Amazon, and no way to obtain free shipping on that book, even if they’re willing to buy more products to meet the $25 free shipping threshold. One would think Amazon must know the free shipping strategy works to upsell customers on additional products. That’s why they offer it. Without it, these customers could have no incentive to buy more products because the product they surfed in to buy does not qualify. Let’s all hope and pray this situation is one huge, misguided idea from some mid-level management person and not corporate policy being dictated from the office of Jeff Bezos. What can you do? Let Amazon know what you think about this “offer” by Amazon/BookSurge. COMMENTS BY READERS ARE WELCOME! Please email your comments to Angela and she will post them right here. Please let her know in your email if you do NOT want your name published. 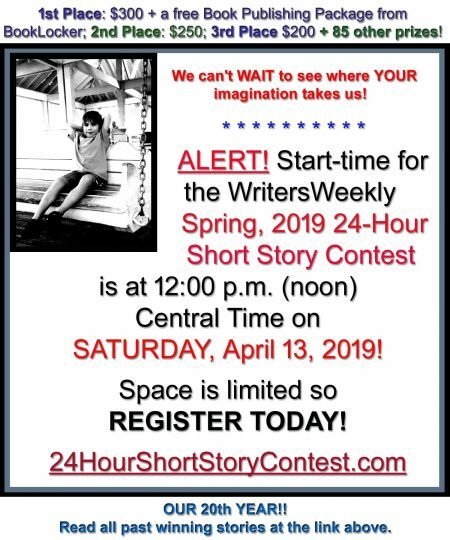 Email angela@writersweekly.com OR angela@booklocker.com. COMMENTS ARE STREAMING IN! THEY APPEAR AT THE END OF THIS PAGE. There is no reason to panic. Not having an active “buy” button on Amazon.com is not the end of the world. After selling print books for eight years, it has been our experience that “chance purchases” of self-published books on Amazon.com are not the norm. Authors slap books up on Amazon.com all the time, don’t market them, and sell zero copies. 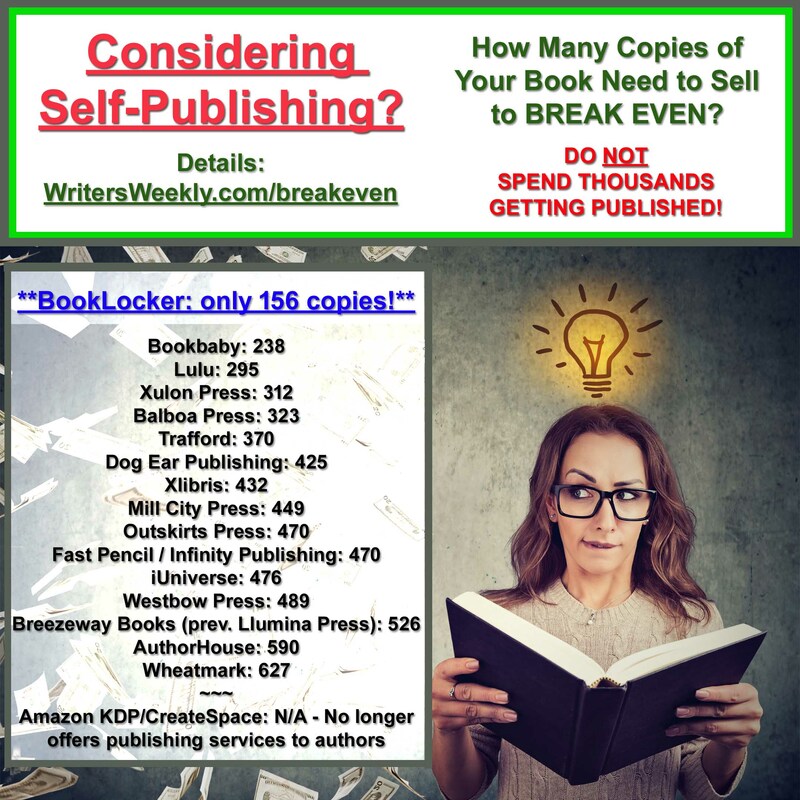 For most self-published authors, sales are almost always author-driven, meaning the bookstore link you use in YOUR marketing efforts is what’s driving your sales, not just simply having your book listed on Amazon.com. We know from experience that the customer is going to buy your book from where you tell them to buy your book. If you want your customers to qualify for free shipping, you can send them to BarnesandNoble.com, and tell them their order might qualify for free shipping (many people don’t know BarnesandNoble.com offers free shipping!). 1. Remove all Amazon.com links from your marketing materials – website, ezine, blog, email signature, press releases, articles — everything. 2. Change those links to your book’s page on BarnesandNoble.com. To obtain that link, search for your book’s title at http://www.bn.com. All Booklocker.com print books are on their website. 3. If/when the booklocker.com “buy” buttons are turned off on Amazon.com and you feel your button absolutely must be on, please contact Angela to discuss how we can help you participate in their Advantage program. 4. Don’t forget to contact Amazon to tell them what you’re doing in response to their horrible actions!